Electronics resale value falls notoriously fast and it often makes more sense to repurpose or recycle equipment versus selling. Does this old router have any use? 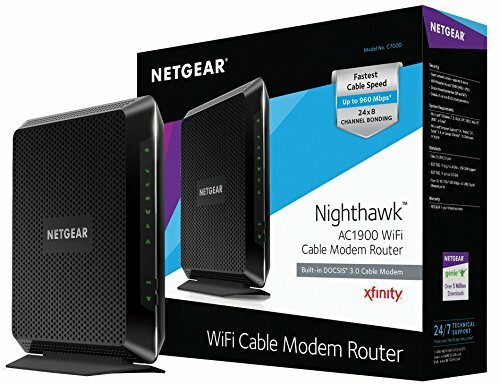 Is there any reason to have two routers on the same home network? 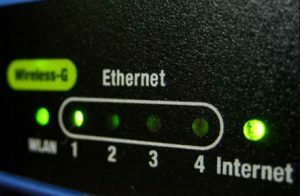 In this article, we detail the reasons two routers may improve your home network and provide some tips on making sure your two routers play nice. Obviously, your router “routes” internet traffic. What else? 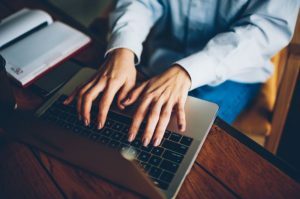 When you use your internet browser to Google questions that led you to this article, your router sent a request out and received an answer back from the Internet, which the router then forwarded to your specific device (laptop, tablet, phone, etc). This is the core functionality of any router and the reason for its’ name, however routers generally serve many other needs within a network that are less known and happen behind the scenes. A router usually acts as a DHCP server. Since other devices on your network such as laptops, printers, tablets, Smart TV’s, etc don’t generally have a network configuration when they first boot up, they rely on the DHCP server for their configuration (IP address, Gateway, DNS, etc). For wired devices, your routers can also “switch” it up and act as a four-port switch, thus extending the number of devices that can be physically plugged into your network. 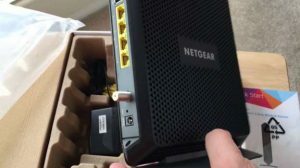 Why might one network need two routers? In short, to improve network range (to include the man cave), bolster coverage (to fix those dead zones upstairs), ensure reliability (you never know when the router is going belly up), and increase size (more ports in the storm). How can you ensure your two routers will improve your network? 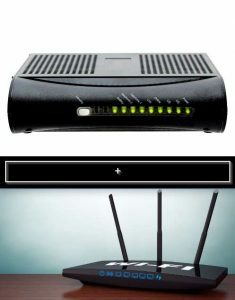 Multiple routers can make a network “two” crowded. Basically, you still need to think of one router as the “one in charge” and any functionality that leads to and from the outside world must go through just that router. Choosing one of the routers to be the liaison to the outside world provides a starting point for the ways your routers should be configured the same and how they need to be different. What functionality do you want to make sure not to duplicate? 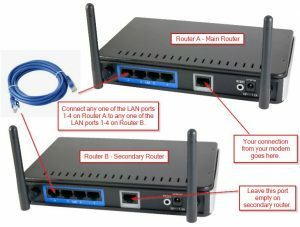 You need to look out for WAN (wide area network) versus LAN (local area network) port connections (how the routers access the outside world), DHCP configuration (making sure both routers aren’t handing out conflicting information to devices on your network), and the routers’ channels (ensuring your routers do not talk over one another on your own network). The WAN port (sometimes called the “Internet” port) is reserved to access the outside world. If you connect your second router on the WAN port, duplicate routing occurs because your network is now divided by a firewall and each device that connects to your new network is NAT’d twice (once by each router). Instead, you should connect the routers together via any of the LAN ports (numbering does not matter). Remember, only one of your routers accesses the outside world. Refer to the diagram above. Your home network is a bit like The Highlander – there can be only one! With two routers, you want to disable DHCP server abilities on the second router to avoid IP address conflicts. Otherwise, devices on your network may acquire their IP address from the router that does not have access to the outside world or the device may not be known by the primary router. This would lead to that device being disconnected from the Internet. This is especially important if your two routers are in close proximity (within fifty feet or so). Channel duplication will cause interference and degrade the Wi-Fi performance of devices. If your routers use 2.4 GHz, use a non-overlapping channel – see this article for help with choosing the best Wi-Fi channel. How should your routers be configured the same? Under most circumstances, you will want your routers to have the same SSID (bonus points if it makes your neighbors laugh), the same security and encryption (WPA2) protocols, and the same key/password. 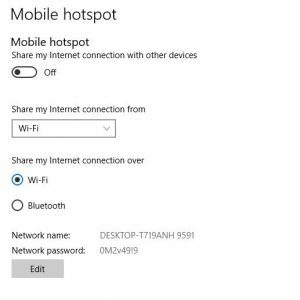 These configurations will ensure that your Wi-Fi devices can automatically connect to your network and will roam to your second router when you go out of the range of your primary Wi-Fi network. Should you ever have different SSIDs on the same network? You can use different SSIDs and keys/passwords for each router if you like. This creates a second wireless network with a different name. 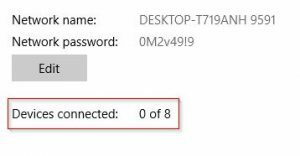 This configuration does not enhance security, unless your router allows you to map each SSID to a different network connection using VLAN tagging. When a device connects to an SSID, traffic is passed to the associated VLAN which has its own security settings. This is an advanced topic, but can be simple to set up if your router supports “guest network” functionality. Using this feature, guest traffic can be isolated from the rest of the network or limited in the services (and speeds) it has access to. In conclusion, there are several reasons having two routers on your home network may be an improvement. Remember one router is in charge and does all the talking to the outside world, but as far as your network’s name, the routers should usually be in agreement. Plus, you can tell all your friends that you have a new tech upcycling hobby! 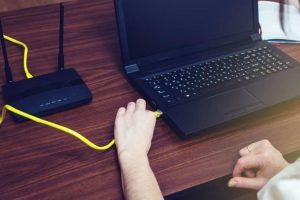 Wi-Fi security is paramount – without it, there are many things that someone could do on your wireless network – things that range from minor or barely noticeable all the way up to flat out illegal – and everything in between. Honestly, most people that are looking for Wi-Fi networks with no security or weak security are simply looking for free internet access. These people just want to check their email, surf the web, or download something without paying for internet access. They don’t really have any hostile intent for your network. Ultimately, it comes down to this – someone is using something of yours without paying for it and without your permission. Is that really something you are okay with? 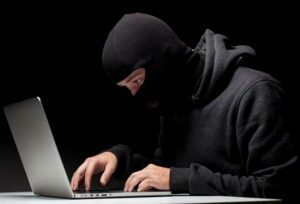 Furthermore, if the perpetrator does something illegal online using your internet connection, the authorities can investigate the source IP address. This will lead them to your ISP – upon which they can subpoena your ISP to provide the associated subscriber’s name and address. Guess whose door they will come knocking on next? Yours. The scary part is, it could be the guy next door, someone parked in the street, or a neighbor down the road. It is very difficult to physically locate the person. Isn’t it easier to just set up ample security from the start to ensure that you are keeping all potential unwanted guests out? 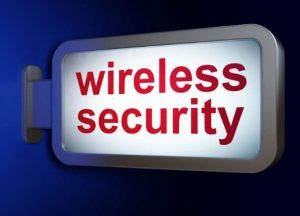 There are several different modes and methods you can use to secure your wireless network. The easiest, most common, and most effective solution is to enable the proper type of security and encryption protocols on your router. This will not only prevent someone from joining your network who doesn’t have the password, it will also prevent anyone in the area from eavesdropping on what you are doing online. Can you use the Enterprise versions at home? I can see why you would want to – the enterprise versions of each protocol renew/update their keys at a set interval, whereas their non-enterprise counterparts simply use a pre-shared key. This key update makes the enterprise versions rock-solid secure, since the key is always changing. A typical user would not want to attempt using an Enterprise protocol at home due to the advanced knowledge required to set it up. Additionally it requires setting up a dedicated server to make everything operational. The vanilla WPA2 protocol is enough for most users and is much easier to set up and manage. 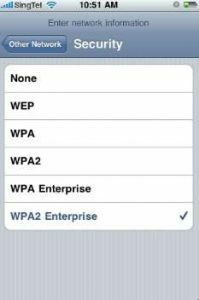 For home users, WPA2 is currently the best choice. If your router gives you the choice of using TKIP or AES with WPA2, choose AES. Utilizing WPA2 on your router with a strong passhrase provides plenty of security for most users. If you are extra paranoid, you can also employ some additional security methods. Here are some additional security settings that can optionally be enabled to enhance security on your wireless network. These features are not as robust or as easy to implement as enabling WiFi security/encryption – they are intended merely to be supplements to the security of your network. Basically, you should not enable these options without security/encryption and expect your network to be secure. 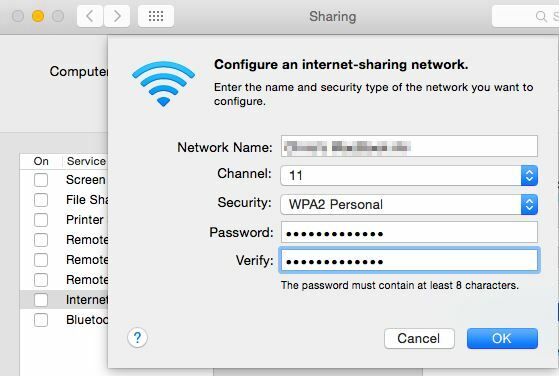 With the SSID broadcast disabled on your router, people won’t be able to see your Wi-Fi network, or they will only see an “unnamed network” in their list of available Wi-Fi networks. 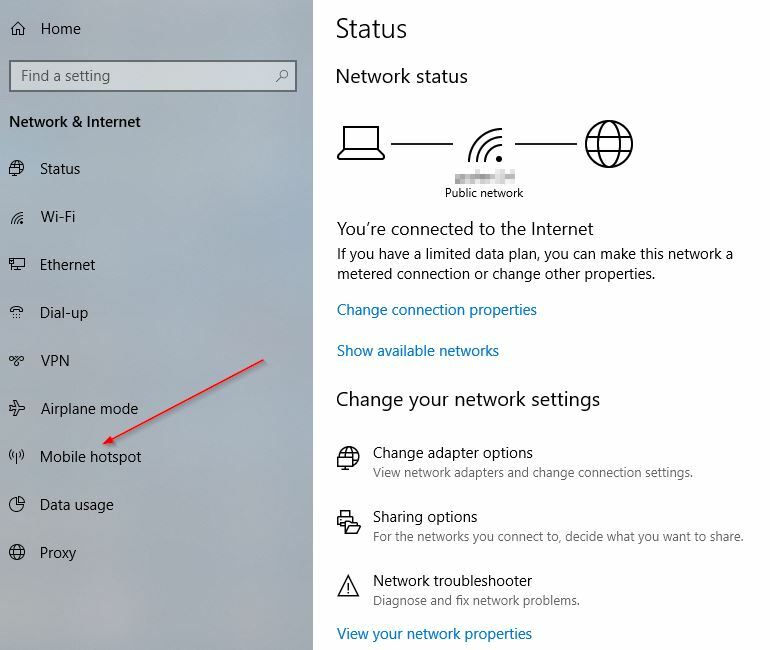 Connecting to a network with SSID broadcast disabled is more difficult – you will have to manually define your SSID in your computer’s network settings before it will connect. Fewer people will notice your network, but advanced users can still easily find your network using the right tools. Simply disabling the SSID broadcast also does nothing to protect your privacy as information is transmitted through the air – you need security/encryption for that. 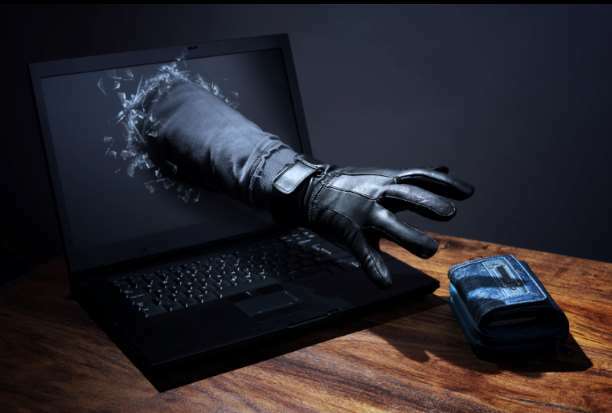 If you are connected to an Open Wi-Fi network (one that does not use encryption), anyone that knows what they are doing can intercept your traffic and view what you are doing online without you knowing it. 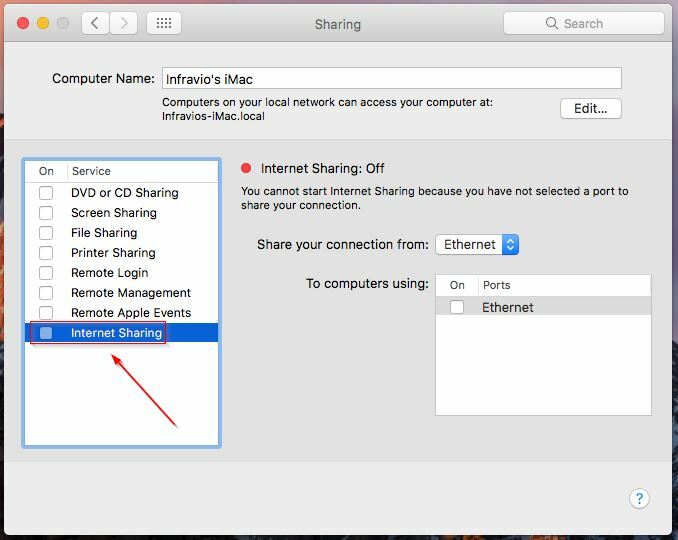 Like disabling the SSID broadcast, utilizing MAC address filtering will also do nothing to protect your information from eavsdroppers. It will, however, make it more difficult for an unauthorized user to access your network. MAC filtering works like a whitelist – where only MAC addresses that are defined on the list can communicate on the network. 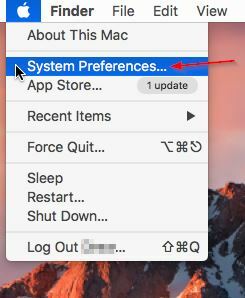 That said, advanced users can ‘sniff’ for a valid/authorized MAC that is currently in-use on the network, and then spoof their MAC to use an authorized one. 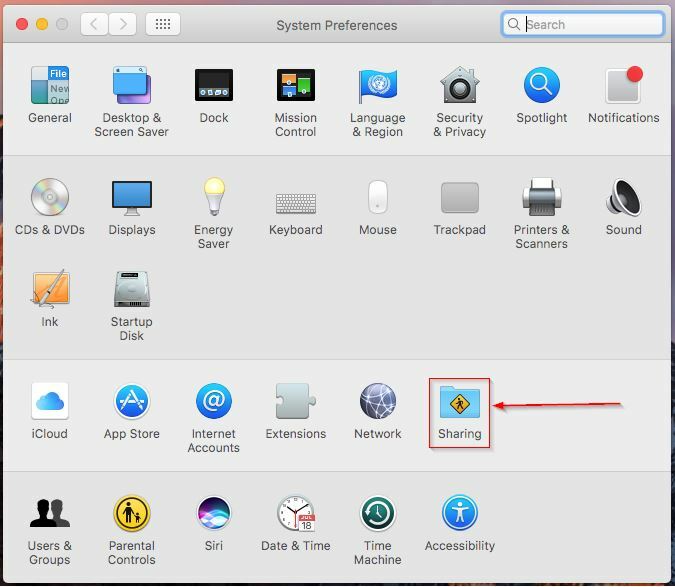 Enabling MAC filtering also makes managing your own wireless network very cumbersome – any time you want to connect a new device to your wireless network, you first have to log in to your router and add the new device’s MAC address to the whitelist. One of the best ways to improve your Wi-Fi’s coverage, speed (throughput), and reliability, is to add a wireless access point (AP) to your home network. What is a wireless access point anyway? Simply put, a wireless access point is a device that connects to your wired network and makes your network available wirelessly. It consists of a network port and one or more Wi-Fi radios that are used to serve wireless devices. Think of a wireless access point as having a second router in your home that can be used in order to extend the coverage of your wireless network. 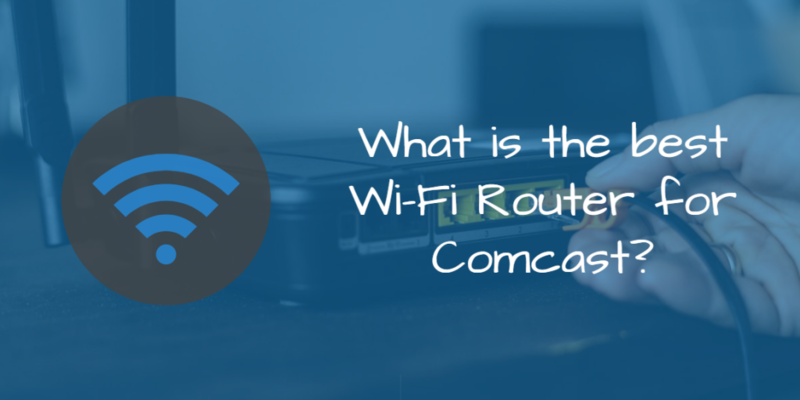 In fact, all wireless routers include an access point – it just happens to be built into the router, so it isn’t called an access point in that case. A wireless router is like a swiss army knife – it performs several core functions within your network. Not only does it route traffic (thus the name “router”), it also acts as a firewall, a switch, an access point, a DHCP server, and sometimes a modem. An access point only serves one purpose – to provide wireless connectivity to devices on your network. You can’t get online with just an access point – you need a router as well. What are the benefits and drawbacks of using an access point versus a wireless router? Using wireless access point(s) gives you the ability to distribute one or more AP’s throughout your home, which serves to increase the range and signal quality of your wireless network. This in turn makes your wireless network run faster and more reliably. Speaking of reliability – as with many things in life, devices that are designed to accomplish just one task generally perform that task better than a device that is designed to accomplish many different tasks. This principle also applies to wireless routers versus an access point – the old adage “Jack of all trades and master of none” definitely applies here. Since access points are designed only to efficiently and reliably connect wireless devices to the wired network, they generally do the job of serving wireless clients better than a router does. 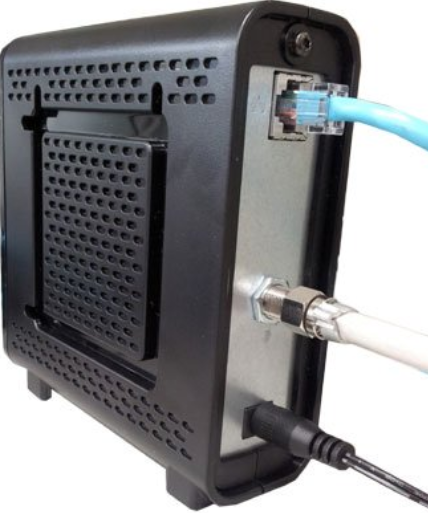 Another benefit of access points is that they can be placed strategically – such as ceiling mounted or installed inside of a network jack gang box. Wireless access points are enterprise-grade networking equipment and are not generally marketed toward consumers. Thus, they usually require a bit more technical ability and knowledge of computer networking than a consumer-grade wireless router would. Access points also require additional wiring work. This is both a pro and a con. Since the AP is usually placed in a strategic area to provide the best coverage, it usually requires running an Ethernet cable from the desired placement location back to wherever your router is. This can be a lot of work, depending on the construction and layout of your home, and the proximity of the AP to your router. The amount of work also depends on how accessible of a crawlspace or attic your home has, whether or not you own or rent (which means you can’t drill into walls, floors, and ceilings), and the degree to which you wish to hide the wiring versus simply running it in plain sight along the baseboard or ceiling. Another drawback of using a wireless access point, is price. 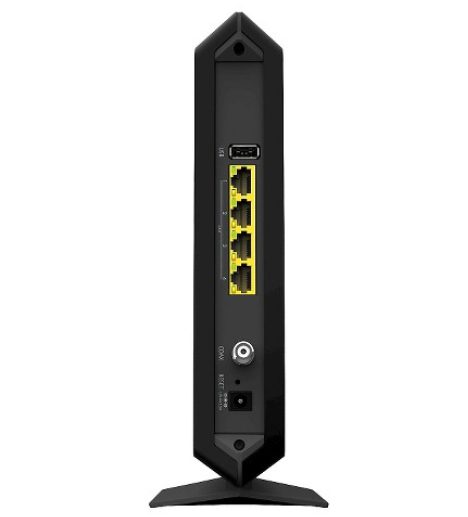 Since using an AP also requires a router, you must buy an AP and a router, plus additional cabling. In some cases, you also need to buy a switch or firewall as well, depending on your needs and the capabilities of your current router. The time required to run wiring (or pay labor costs to have someone else do it) should also be considered. What is the best wireless access point for home? Ubiquiti Networks has been around since 2005. They are well known among wireless internet service providers for making quality gear that is easy to manage. They were originally known for making outdoor, long range fixed wireless equipment that allowed for high speed connections between buildings over long distances. 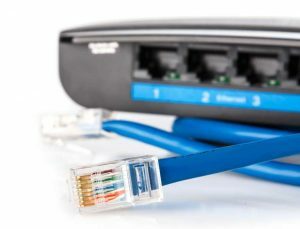 Over time, their product lines have expanded and they have moved into other technologies of computer networking such as switches, routers, and access points. The Ubiquiti UniFi wireless solution consists of several different pieces of technology that can be put together in a customized fashion to build a very robust and feature-rich network solution. We are only reviewing their access points here, but we wanted to make our readers aware that there are several other add-on’s to the UniFi solution that will add features and visibility into your network if you wish to explore that. The main components in the UniFi solution are the access points, the security gateway, the switches, and the controller (Cloud Key). Most components are optional – you can piece things together however you’d like, using only a single component (like an AP) if you like, or using them all together. 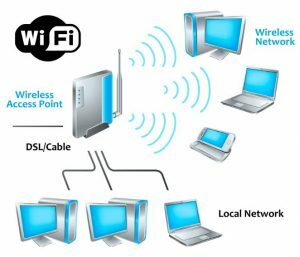 The access points serve to connect wireless devices to the wired network and are the main topic of this article. The UniFi Security Gateway (USG) serves as a router and firewall. 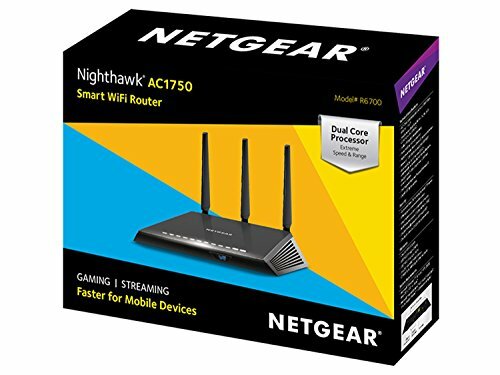 This is not your typical wireless router that you purchase at Amazon – it only performs a subset of the duties that a typical consumer-grade router does, which is just routing and firewall duties. It also generally does a much better job of handling these duties than a typical wireless router, which is expected to handle everything. Is it any wonder that most people have to reboot their wireless router regularly? UniFi Switches are Ethernet switches that expand the port capacity of your network and allow you to plug all of your wired devices into your network reliably and at high speed. They also serve as the connection point for the AP’s. The UniFi Controller brings everything together. It is used to configure everything initially or to make changes down the road. It also provides a ton of reporting and security features. The Controller can be ran on a computer or server in your home, or you can opt for the Cloud Key, which runs the controller software on a self-contained micro device that you simply plug into your network. By now you are probably saying “OK hold on, this sounds complicated”. You are right. We wanted to stop here and issue a disclaimer for anyone considering purchasing the UniFi solution. The UniFi solution is considered “Prosumer Equipment”: it is professional-level equipment that is also suitable for savvy consumers. This equipment is designed for professional use – it is intended to be used in enterprise environments, where the requirements for speed, security, and reliability are stricter than a residential environment. That’s what makes this equipment so desirable – it is professional grade. There are, however, tons of people using UniFi gear in their homes. It works very well for home use… as long as you can manage installing it and getting everything up and running. Anyone purchasing UniFi equipment should be somewhat savvy with computer networking. You should also be willing and prepared to Google for help, read forums, watch YouTube videos, and have some patience during the process. If this is you – we say go for it. If this scares the daylights out of you – perhaps the UniFi solution isn’t for you. Or, perhaps you should consider hiring someone to install and configure it for you if it’s something you really want installed in your home. It can, after all, be installed and configured very quickly by someone who knows what they’re doing. 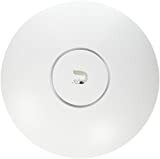 There are dozens of different UniFi AP’s SKU’s, however we are narrowing it down here to the UniFi AP AC line, which supports the newest 802.11AC wireless standard. We aren’t discussing any of the older Wireless B/G/N products here. Since we are looking for the best wireless access point for home, I won’t discuss the HD and Pro models here. Those models are generally geared at larger and more dense deployments than anyone would need in their home, such as a large office, church, or stadium. The two models that the team here at Infravio recommends are the LR and Lite version. Dare I say, these models are slightly aimed at home users, even though they are enterprise-grade. The LR model contains most of the features common to any of the AP’s in the UniFi AC line, however is is designed to go longer distances. It contains an antenna design that allows it to reach further into the corners of your home and yard, all from a single AP. This antenna allows it to not only transmit data further distances, but it also allows for receipt of data from a longer distance – something that a simple high-powered AP can’t accomplish alone. The Lite model also contains most of the features of the other UniFi AP’s, however it is smaller and more compact than the other models. It is also generally the lowest-priced option of the line, making it an excellent option for home users. Dual-Radio performance, gigabit speeds, the UniFi AC Lite AP delivers 5x the performance of the first-generation UniFi AP while still maintaining Ubiquiti disruptive pricing strategy. 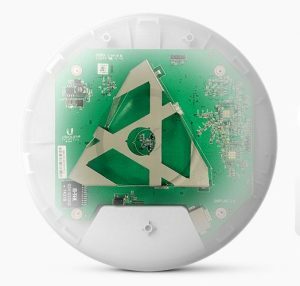 Sleek, Ultra-Compact Design, uniFi AC Lite AP features a cleaner design in a reduced footprinthalf the size compared to the standard UniFi AP. Scalable Enterprise Wi-Fi Management, UniFi Controller v4 software is a powerful, enterprise wireless software engine ideal for high-density client deployments requiring low latency and high uptime performance. With its software-based capabilities, the UniFi virtual control plane allows for unlimited scalability under one centralized controller. Remotely access the UniFi Controller to upgrade deployed UniFi APs while in the field. Note: These apply to both the LR and Lite models unless otherwise noted, as they are very similar. Both the LR and Lite versions bring speed and stability to your Wi-Fi network – something that I think most users are looking for. Additionally, they both support advanced features such as band steering and airtime fairness, which help ensure an enjoyable experience. Most people will be happy with the LR or Lite. It’s up to you to choose which one you prefer. If you are needing to cover a greater area, perhaps the LR model is the best choice. If you are more price sensitive and wanting something with a smaller footprint, perhaps you should consider the Lite model. If you are needing to cover a really large area, you should consider installing multiple AP’s. That is one of the benefits of using AP’s instead of a single wireless router – you can grow your network over time, adding AP’s as your need for a larger coverage area increases. For most people, their cable modem and router are two separate devices, however this isn’t always the case. You can also get integrated “combo” devices, which feature a cable modem and a router in the same box. Before we go any further – a brief note: In this article, we are referring to router and cable modem combos, not router and DSL modem combos. We will cover DSL modem combos in a future piece. So why would anyone want a router and cable modem combo in the first place? A router performs many functions, however the primary purpose for a router in the home is to share your internet access among all of the people and devices in your home. Without a router, you would only be able to connect one computer at a time to your internet connection. 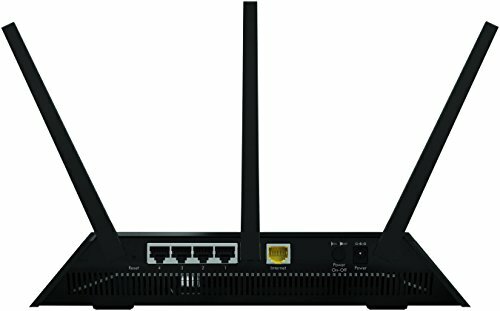 The router further enables sharing of your internet connection through the integrated switch ports and built-in wireless radios. Most home routers have an integrated 4 port switch for wired devices, as well as a built in wireless access point for Wi-Fi devices. The router also enhances the security of your internal network within your home through technologies such as firewalling, packet inspection, and network address translation. The word “modem” originates from two words (modulator-demodulator) shortened and crammed together. Modems basically allow a provider to convert digital data into a waveform for transmission over a wire, with a set of modems on each end converting digital-to-analog and analog-to-digital again. Many people are familiar with dial-up modems, which were primarily used in the 1970’s, 80’s, and 90’s to send data over voice-grade telephone lines. Today, cable modems function in a similar manner, sending modulated RF data over coaxial wiring. The modem is what enables your internet service provider to actually deliver service to your home. Ultimately, a router is an optional accessory, since your internet service will function without one – however a modem is always required. Personally, I am not a fan of combo devices as they tend to be a “Jack of all trades and master of none”. I like having a lot of choices when it comes to my cable modem and router. If I am selecting a combo device, my choices are much more limited because of the much smaller selection of them available on the market. However, I am an advanced/power user. For the typical user, these devices are an excellent choice.